Our mission is to optimize health and wellness on all levels by serving every patient who comes to us with caring, effective, high-quality healthcare based upon integrity, honesty and trust. Since Ptak Family Chiropractic opened its doors in 1986, we have been doing just that. We are committed to our focus on real people, real problems and real results. For 33 years, we have found that, while some patients just want to relieve their temporary or chronic pain, many seek an ongoing, holistic approach to maximizing health and wellness on all levels. 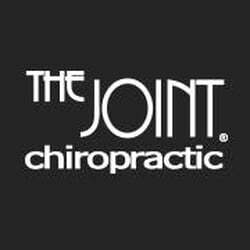 That is why our clinic provides an environment dedicated to educating, supporting and motivating patients of all ages to embrace Chiropractic care and reap the rewards of maximized health and well-being. Using a variety of non-traditional, yet effective nutrition and spinal integration techniques, we have supported thousands of patients and their families to benefit from enhanced overall health. Our approach was at first considered revolutionary in the 1980s and 1990s, but today we have a proven track record using this exclusive healthcare model. If you are looking for a trusted Santa Monica Chiropractor, we invite you to take the first step in maximizing your health and wellness goals. Call the Ptak Family Chiropractic office at (310) 473-7991 for more information, or make an appointment online.